Though no hard numbers are available yet on how many K–12 classrooms are using virtual or augmented reality, new estimates suggest the technology could reach 15 million students by 2025. But without research to show the impact, experiences like landing on the moon or the sinking of the Titanic could be closer to entertainment than education, argue critics, who say much of what’s being marketed as virtual reality is not groundbreaking—or even new. Computer scientists first began experimenting with “virtual experiences” in the 1950s, and by the 1980s goggles and gloves had been developed to simulate immersion in a virtual world. 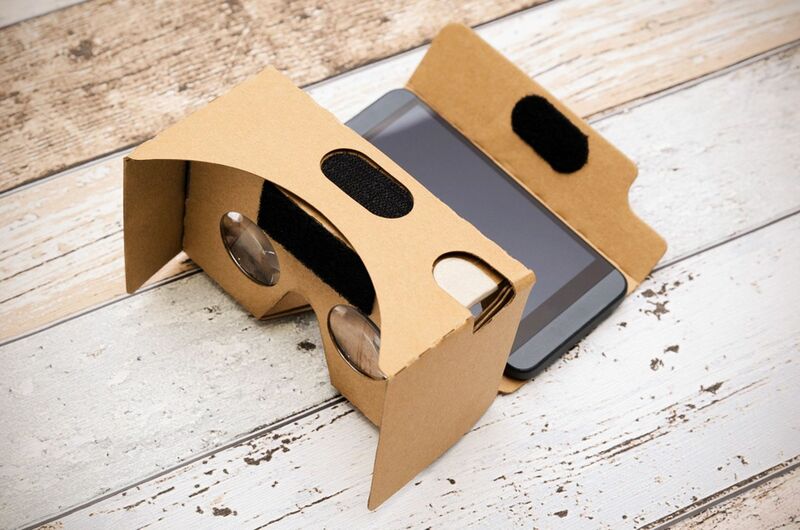 Because of its simple design, Google Cardboard can be used with most smartphones. There’s also the price tag. Headsets and gloves can cost hundreds of dollars, making it challenging for most school systems to provide universal access. While cheaper versions exist—such as the $15 Google Cardboard, which attaches to a smartphone—these versions often don’t provide the same quality of experience. In fact, critics say much of what is now called virtual or augmented reality by schools isn’t experienced through headsets and gloves, but on laptops, tablets, and phones instead. In other words, many people still aren’t sure exactly what VR is, and the definition is continually evolving. For VR advocates like Maya Georgieva, though, the technology is rapidly changing the way we see and experience the world. Georgieva, the co-founder of Digital Bodies—a group that researches and consults on VR for education—says that while virtual reality is still seen as supplemental in K–12 classrooms, that thinking is shifting as the volume of content increases and teachers and students feel the excitement around it. Proponents of the technology can point to real success stories: Here are some of the more promising uses of VR and other immersive technologies already underway in K–12 classrooms across the country. Like doctors who have been using VR to assist in surgeries and pinpoint ailments—by generating 3D models of real patient tumors from MRI scans, for example—science teachers are saying VR can help deepen understanding of subjects such as biology and anatomy, which require students to grasp the inner workings of cells and organs that are not visible to the human eye. 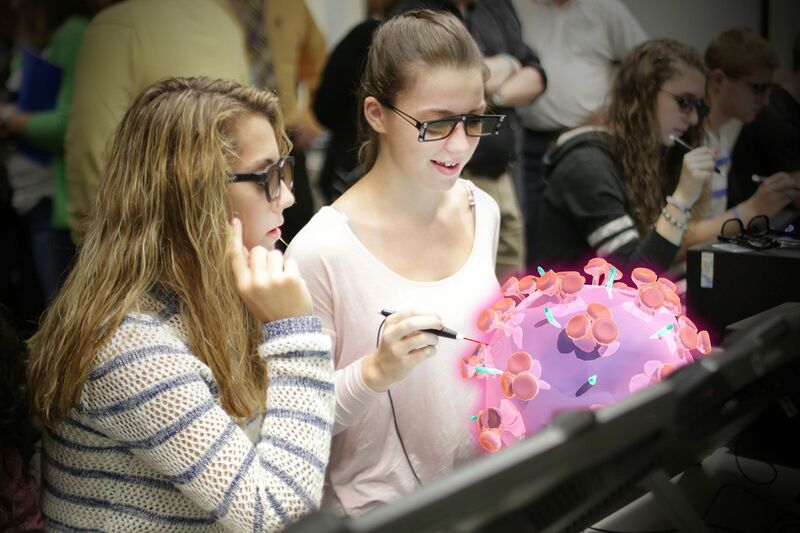 Students explore a virus using zSpace computers and glasses that allow objects to pop out of a flat screen in 3D. In Belmont, California, high school biology teacher Rebecca Girard has been using mixed reality computers from zSpace—which come with special glasses that allow cells and organs to “pop out” of the flat screen in 3D—to help her students gain a better grasp on how the heart works. Using apps like Cyber Science, zSpace Studio, and Human Anatomy Atlas, Girard’s students can follow the path of blood flow through arteries as the heart beats, watching valves open and close. Students use the VR platform Peer to understand how windmills work. And platforms like Peer have developed mixed reality content for students that provides compelling visual models of complex physical science concepts like gravity, molecular bonds, and force. 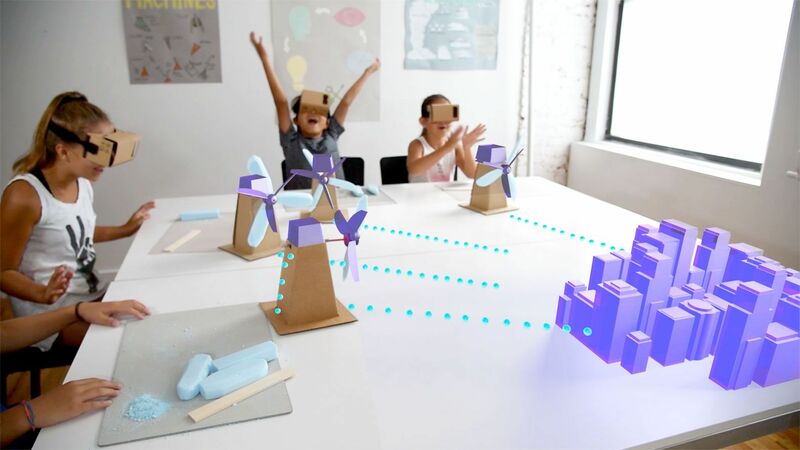 Using Peer, students can uncover the aerodynamics of a windmill through a VR headset, for example, and then apply their newfound understanding to build a windmill of their own. Touring colleges is costly and time-consuming, not to mention impossible for many potential college students. Companies like Campus Tours and YouVisit are now offering 360-degree virtual reality tours for hundreds of campuses, from the Georgia Institute of Technology to the University of Minnesota. According to YouVisit, the experiences help foster a “sense of familiarity and belonging” for students who can’t make the trip—and might encourage students to consider more schools. Using any device (no fancy headset needed), prospective students can “walk” on the paths around campus and “see” themselves among other college students, headed to class or back to the dorms. 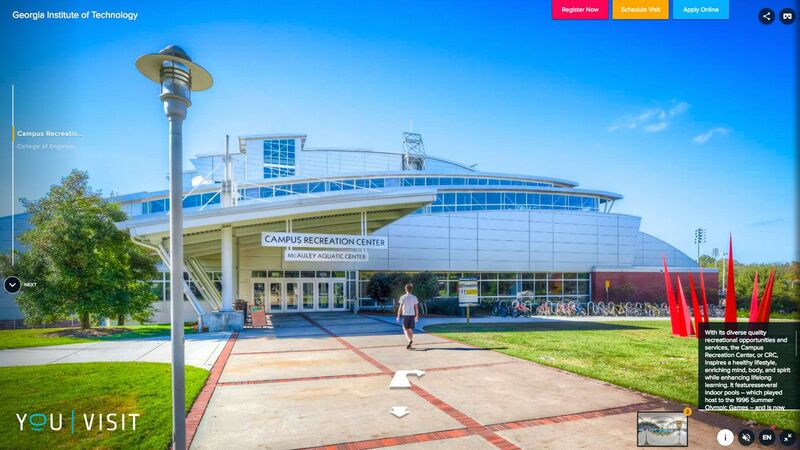 By clicking on campus buildings, users can get inside and access more than 1,000 college experiences like exploring Geisel Library at the University of California, San Diego, or an electrical engineering lab at Princeton University. 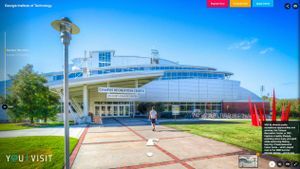 Using YouVisit, students can explore the facilities on hundreds of colleges campuses, like the Georgia Institute of Technology’s Aquatic Center, pictured here. This year, the nonprofit Global Nomads piloted the One World, Many Stories program, which used virtual reality to build connections between 20 classrooms in the United States and the Middle East. Through the program’s VR simulations, students are able to walk the streets with a teen in Jordan or rural Kentucky and be immersed in their day-to-day life, gaining understanding of other cultures and viewpoints along the way. Los Angeles high school students experience life in war-torn Syria through virtual reality. A group of Los Angeles high school students at a school in Compton were able to “drop in” to the heart of Aleppo, Syria, through the VR simulation and experience the impact of an explosion, which helped them gain perspective about life during wartime. Afterward, the Compton students had a video dialogue with Syrian youths in a refugee camp to discuss their experiences. “I never dreamed that I was going to take it to high school students, who might be able to make changes in the lives of Syrian children refugees,” said Nonny de la Peña, who created the simulation. Also showing promise: Embodied Labs is providing training for students to become better caregivers for the elderly by letting them experience the medical challenges seniors face, like macular degeneration and hearing loss. 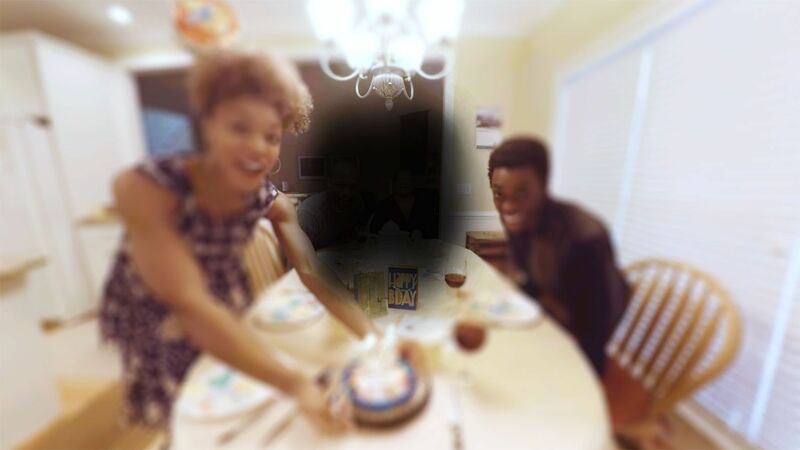 In the simulation “We are Alfred,” users experience the impact of vision impairment during a family birthday party. Embodied Labs’ VR simulation helps future caregivers of the elderly gain a deeper understanding of medical problems like macular degeneration. While fewer students are taking career and technical training these days, CTE may get a revival through new virtual reality experiences that train students how to repair cars and allow them to complete safety training in 3D. 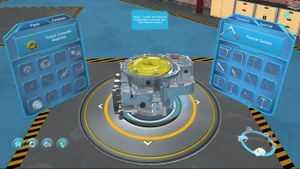 Already used by the Hong Kong Institute of Vocational Education to teach aircraft engineering and building maintenance skills, the U.S.-based VR platform zSpace has now launched vocational simulations of its own, in partnership with Shenzhen GTA Education Tech Ltd. in China. zSpace’s auto training platform lets users disassemble and reassemble car systems. Using the zSpace auto training platform, students can disassemble and reassemble systems like the transmission or engine, free of risk or material waste. Corey Engstrom’s fifth-grade students built an early American colony this year, populating it with figures from history—but instead of using clay, cardboard, and glue, they made the colony digitally, inside a virtual world. Using the platform CoSpaces Edu, which allows users to create their own virtual reality experiences, the students animated their colonists to buy and sell goods, board merchant vessels, and head out to sea for trade. Engstrom’s class isn’t equipped with expensive headsets and gloves; students created the colonies on the flat screens of their Chromebooks instead. After creating a virtual world, CoSpaces users can don basic cardboard headsets to bring their visions to life in 3D, or choose to engage on a computer or tablet. The platform was recognized as a finalist in EdTech Digest’s Cool Tools awards this year. 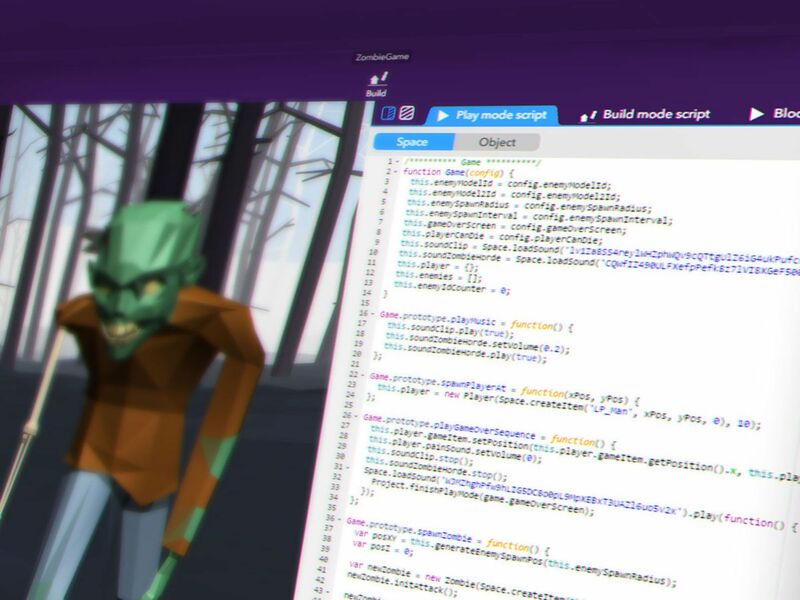 Students program a virtual monster through CoSpaces, a VR application that enables users to create their own virtual worlds. Even without fancy equipment, Engstrom said, the experience allowed students a chance to get a feel for what life was like long ago while gaining a better understanding of history.